Why Don’t Older Americans Buy Long-Term-Care Insurance? A new study presented on Thursday came up with several reasons. You’ve probably got a “Plan B” for if your car breaks down (call AAA) or if you run out of beer at your summer BBQ (break open the liquor cabinet). 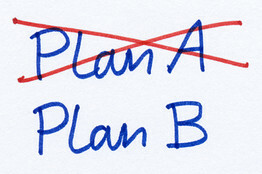 But if you’re like most Americans, you don’t have a “Plan B” in the event of a financial mishap, a new study finds.